Our attorneys are ready to help you when you need help most. Contact us if you or a loved one was hurt due to another's negligence. We are professionals who treat each client with respect. 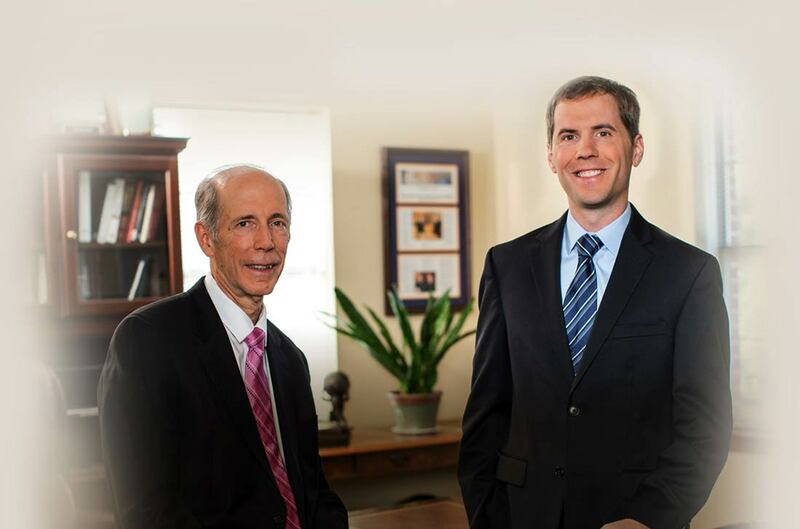 When we began in 1973, we were simply a father-and-son law firm. Now, more than 40 years later, we are a firm of 10 experienced attorneys and a support staff of about 30 with offices in Tulsa, Oklahoma City and northwest Arkansas. Patrick E. Carr co-founded the firm with his father, Eugene Carr, in 1973. He is now the senior partner in the firm. Chris Brinkley has called Oklahoma home for nearly his entire life. At an early age, Chris had aspirations of becoming an astronaut. A native Texan and devoted Dallas Cowboys fan, Jack Beesley has dedicated his life to helping injured Oklahomans. The personal injury lawyers at the Carr & Carr Attorneys At Law represent individuals who have been hurt or treated unfairly. We believe that the protection of individual rights is absolutely necessary to preserve the freedoms we all enjoy. At Carr & Carr, each lawyer fights for the rights of the individual. We are dedicated to representing individuals and their families. Our experienced Oklahoma and Arkansas attorneys have fought for our clients in courts across the country. We have successfully represented people who have suffered a wide range of devastating injuries including catastrophic brain and spinal injuries. These injuries occurred in car crashes, railroad accidents, oil field blowouts, plane crashes; due to defective medical devices, drugs or products; and slip-and-fall accidents, to name a few. We have also successfully represented our clients in a wide variety of insurance claims. We can help you in Oklahoma, Arkansas or across the nation via offices in Oklahoma City and Tulsa, OK, and Springdale, AR.